Great wines are hopefully always enigmatic and there are some real gems to be discovered among the 2006 German Rieslings. While there is a preoccupation with debating the merits of dry or sweet Rieslings, the international consumer has predominantly maintained an orthodox view of German Riesling with a preference for the richer lateharvest styles, particularly the exceptional and unique qualities of Auslese, Beerenauslese and Trockenbeerenauslese. Generally, the young dry style German Rieslings exhibit a floral perfume in with the fresh cut apple and zesty citrus qualities, often with lime to the fore, along with hints of apricot and white pepper, and pickled ginger spiciness. sweet cone honey. 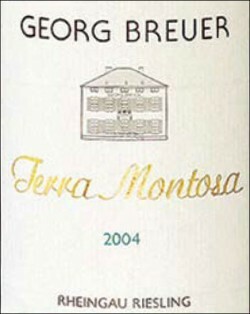 They tend to be more textural and powerful yet still invigorating with their tantalizing acidity. Rieslings still carry the stigma of the generic, mass-produced Liebraumilch and Piesporter wines of the 1970s that substantially altered and subsequently polarised tastes. Although enjoying immense popularity for a period, mainly because they were inexpensive and made in a crowdpleasing medium-sweet style, all Rieslings were tarred with the same brush and it has been a slow fight-back ever since. The backlash against these semi-sweet nondescript wines was exacerbated by the 1985 glycol scandal, when Austria tried to improve its wines by adding chemicals to sweeten its wines. The result was that dry wines attracted an aura of sophistication that was complemented by a renewed enthusiasm for vineyard-designated wines. 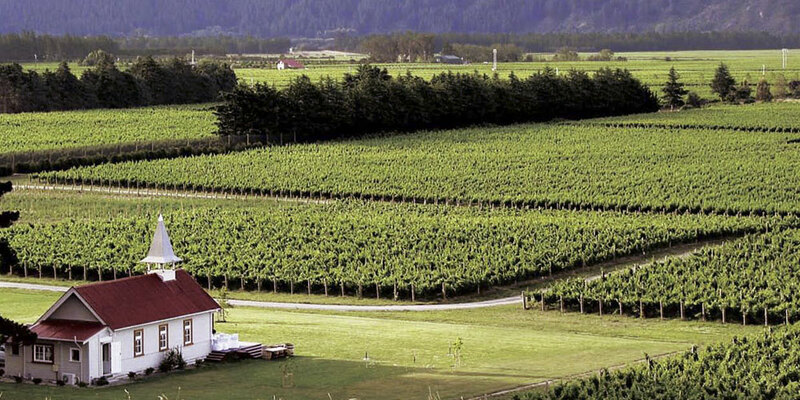 The adage that a “great wine is made in the vineyard,” shows just how important the mesoclimate and terroir are to a vine. But one should always bear in mind the concept of terroir is inconsequential without the abilities or talent of the winemaker. The best vineyards in Germany are exceedingly steep and inordinately labour-intensive, many of them were established centuries ago and were tended by assiduous monks. To this day, most of the work is still done by hand. In late August 2007, some twenty two international journalists were invited by the Verband Deutscher Prädikats- und Qualitätsweingüter (VDP), an association of the leading wine estates in Germany, to preview 200 Erste Gewächs, ‘First Growths’, and Grosses Gewächs, ‘Great Growths’, from the 2006 vintage, just bottled and all made in a dry style, or Trocken, as they are officially designated. The day before the main event we journeyed through the Rheingau’s carpet of vines to the Schloss Vollrads fairyland castle and 64 Erstes Gewächs. Sort of a palate warm up exercise for the following day’s marathon! I found myself stuck at the Weingut Robert Weill stall, mesmerized by the sheer elegance and poise of his wines, which were in a league of their own, even among a bevy of great Rheingau producers. I was also impressed by, the clarity of minerals and powerful fruit of, relative newcomer Weingut Jacob Jung. I elected to forgo that evening’s winemaker’s dinner, as tempting as it was, as I had been personally invited by Heinrech Breuer to stay overnight at Georg Breuer’s Rüdesheimer Schloss, possibly my favourite producer in all Germany, and an opportunity one does not pass up. The Breuer’s are unrelenting in their pursuit of quality, having evolved to biodynamic viticulture and focused on dry wines for decades, long before they were in vogue. Their 2006s, had only been bottled three weeks and were difficult to taste, although the coiled citrus intensity, sheer austerity and persistent acidity would easily see these wines age for 20 years or more. Where many producers proclaim 5 or 6 g/l RS to be dry, Breuer ferments to zero or completely bone-dry, to the point of mouth-puckering almost painful dryness. The Breuer Rudesheimer Schloss is also without doubt one of the best places to stay if you plan a Rheingau vineyard tour. The VDP tasting was held the following day in the majestic colonnaded Kurhaus in Wiesbaden, a wonderfully airy all-white hall, and an ideal wine tasting environment, with its spaciousness and natural bright light flattering the pale yellows and youthful white-gold and straw colours of the young Rieslings. There is no escaping the fact that 2006 was an extremely difficult year, and if it were not for diligent work in the vineyards, coupled with new technology in the winery, such a vintage would have been a write-off 20 years ago. But after tasting some 150 Rieslings that day, and encountering only a few wines that I would pass on readily drinking myself, I formed a far more favourable opinion. No doubt you are questioning how one could feasibly make an accurate assessment of so many wines in a short space of time without suffering major palate fatigue. Frankly it is not the physical tasting that is exhausting, but the mental fatigue of having to concentrate on so many wines and write meaningful tasting notes. My general impression is that 2006 vintage, whilst lacking the lengthy ripening periods preferred for prolonged harvesting, is actually better suited to the drier style wines and although there is trace of alcoholic warmth in some wines, the overall quality of Nahe, Rheingau, Pfalz, Baden and Franken is very good and will provide much pleasure in the short term. An excellent offering from the Saale-Unstruti region, Weingut Pawis Edelacker, had the sort of succulence you find in the Clare Valley, and was suitable inspiration to research this region more. I was particularly impressed with the consistency of the Pfalz, which favoured the drier style: Weingut Dr Bürklin-Wolf, Weingut A Christmann, Weingut Ökonomierat Rebholz, Weingut Reichsrat von Buhl and Weingut Dr von Bassermann-Jordan were standouts for me. Baden and Franken also showed very well, and I can see new world consumers relating to this bonier, chalky lean style, with its purity and edgy raciness, a pity we do not see more of these wines on the international market. Weingut Schloss Neuweier from Baden the standout and in Franken, Weingut Rudolf Fürst, Weingut Fürst Löwenstein, Weingut Johann Ruck, Weingut Horst Sauer, Fürstlich Castell’sches Domänenamt are all excellent. In the Nahe, Weingut Dönnhoff, Prinz zu Salm-Dalberg’sches Weingut, Schlossgut Diel and Weingut Schäfer-Fröhlich were all first class. The Rheinhessen would appear to be even more suited to the richer, late-harvest styles, with many of the dry wines showing a softness or lack of vitality. That said, Weingut Wittmann and Weingut Keller stood head and shoulders above all others and they were among the best wines I tasted on my whole trip. A side trip to Weingut Gunderloch and tasting of the entire 2006 range with Agnes Hasselbach left no doubt in my mind this is a very good vintage and they are at the top of their game. On the downside, the low volumes will place even more pressure on keeping up with the bourgeoning demand within Germany and exports could well fall by the wayside. The most enlightening and serendipitous part of my German tour was linking up with Claude Kolm, an American journalist who spends half the year in Europe and is extremely passionate and knowledgeable about German wines, particularly the Mosel-Saar-Ruwer. His publication Fine Wine Review, is a must for anyone interested in German wines, or Burgundy for that matter. I spent the next two days visiting some of the most celebrated wine producers in all Germany, all thanks to Claude and his intimate knowledge of the producers and their wines, learning more on the subject in these few days than I had in a lifetime of accumulating wine knowledge. One of the most profound tastings I have ever experienced was in Egon Muller’s house, where we were presented with the entire range of 2006 Scharzhofberger, probably the only time I will see all these wines in one sitting in my lifetime. If you ever have the opportunity to meet with Egon Muller then you will appreciate how intellectually intense the tasting was, although as intimidating as he can be, he was a true gentleman with a very sharp sense of humor and extremely generous with his wine. I happened to mention that in my formative years as a sommelier we would often recommend German Kabinett Rieslings from the 1976 vintage as an aperitif, ideal at the time with about 10 years bottle age. He disappeared momentarily, returning with a bottle of Scharzhofberger Kabinett 1976 uncorking it and serving it out on the porch, at perfect temperature straight from the cellar. It was in extraordinary condition, 30 years old and looking like it would last another 30! The good news is that he has a new agent in Hong Kong, Onereddot Fine Wines, and his wines are now readily available in the city. That evening we were guests at Schloss Saarstein where we were treated to the full range of their 2006 wines as well as Von Schubert Maximin Grunhaus, Reichsgraf Von Kesselstatt and cask samples of Joh. Jos Prum. Yet another extraordinary line-up of wines although an exhausting tasting with the intensity of sugarsweetness eventually overcoming my palate. The next day we visited Fritz Haag, arguably the finest producer in the Mosel region, if not all Germany. The young Oliver Haag took us through the entire 2006 range, all outstanding wines, the Brauneberger Juffer Sonnenhur vineyard showing its superiority and incredible power with superb elegance and filigree. My visit to the Mosel-Saar-Ruwer left me with the clear impression that one should never use vintage generalizations in Germany, as it is far too diverse in climates, regional styles and highly talented individual winemakers that produce great wines every year. And for the collectors out there, do not miss the 2006s from the north. To research more on German Riesling there are a number of very good specialists publications with websites including, local authority Markus Hofschuster at www.wein-plus.com, or for a more general viewwww.rieslingreport.com and Claude Kolm’s www.finewinereview.com. Mosel-Saar-Ruwer – Together with its two small tributaries, the Saar and the Ruwer, the Mosel River is the sinuous spine of the region, changing direction so often as it flows northeast toward the Rhine that it meanders nearly 250 km. Soil types: Chalk and limestone in the upper Mosel Valley, Devonian slate in the steep sites, among the steepest in the world with nearly all labour done by hand, hence the elevated prices. Although each river’s vineyard area produces a wine with its own distinctive personality, the three share similar characteristics: elegance and delicate lightness often with the slightest hint of floral spring fields, they are very attractive in their youth, but also age gracefully. Sweeter styles excel here as the acid levels are too high for dry wine, although global warming could change this, and these are arguably the most revered and collectable Rieslings in the wine world. 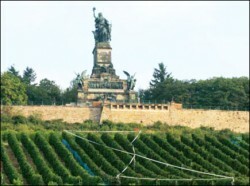 Rheingau – One of the most distinguished wine regions in the world and the birthplace of German viticulture. With sweeping, river hugging slopes, the vineyards are practically one long hillside on the northern bank of the river on its east-west journey from Hochheim to the picturesque village of Rüdesheim and on to the border with the Mittelrhein. Soil types: Although the region is compact, there are many kinds of soil, including chalk, sand, gravel, clay, loess, quartzite and all-important slate. Riesling from here is powerful, fleshy and rounded; fresh with a firm structure, they can be remarkably long-lived, and come in both dry and sweet styles. Rheinhessen – Bordered to the north by the Rheingau and Nahe to the west, Rheinhessen is the largest vineyard region in Germany. The vineyards clustered around the towns of Nackenheim, Nierstein and Oppenheim show the most promise along with Dalsheim and Westhofen further south. Soil types: To the north the vineyards have soils of red sandstone and slate, upstream to the south, the soils become more dominated by loess and loam. The succulent, peachy and luscious botrytis affected wines from here reign supreme although there are also some very impressive dry Rieslings. Pfalz – the southernmost region in Germany bordered by Rheinhessen on the north and France on the south and west, the Pfalz’s vineyards sweep across this picturesque part of Germany. Soil types: Loam is prevalent, often in a mixture with other soil types, such as loess, chalk, clay, colored sandstone. The climate here is much warmer and does not have the ripeness issues and high acids of the Rhine or Mosel. Riesling from this region is powerful, and mineral-driven, full and racy with a predominance of dry wines, although outstanding sweet wines are also made. Nahe – The river and the region run parallel with the Saar, north of where the Mosel River runs in to the Rhine and whilst there are some similarities in style, the wines here tend to be more powerful and markedly spicy. Relatively unknown outside of Germany these are some of the country’s best wines. 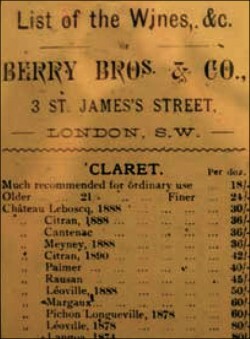 Sweeter wines predominate although dry wines are increasingly being made. Soil types: sandy loams, some slate with best vineyards around Bad Kreuznach, which sit on the Nahe River just as it turns north towards the Rhine. Franken – 65 km east of the Rhine, in Bavaria with most of its vineyards planted on the hilly slopes lining the Main River and its tributaries. Soil types: weathered primitive rock, coloured sandstone and shell-limestone predominate. The best Franken Riesling is from the area around Wurzburg, directly on the Main River, in particular the Escherndorf vineyard. They are fullerbodied, less aromatic, often drier, firmer, earthier and generally the most masculine of Germany’s Rieslings and are gaining in popularity worldwide. Baden – The southernmost of Germany’s wine regions, primarily a long, slim strip of vineyards nestled between the hills of the Black Forest and the Rhine River. Soil types: Shell-limestone, loam, loess, granite. A growing reputation for powerful dry Rieslings, mostly consumed by local market but just starting to appear in the Asia market. This article was publish in Gafencu Men. All Rights Reserved.